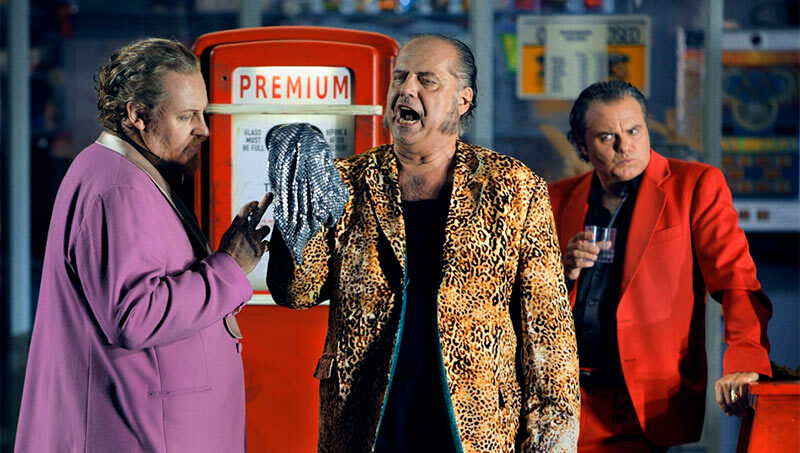 If Frank Castorf’s Rheingold proves somewhat frustrating in its alternation between genuine dramatic power and what seemed to be boredom on the director’s part, frustration here in Die Walküre tilts more strongly in the direction of the latter. It is eventually revealed that we are in Azerbaijan, oil exploration rearing its head more overtly: Baku, 1942, for some reason, or not. So far, in its reversion from a later-twentieth century Rheingold, so ‘post-dramatic’, perhaps. 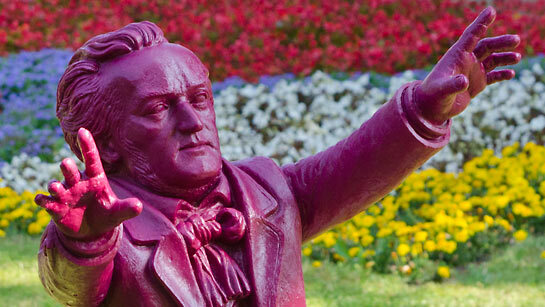 Wagner plays with time, of course, especially through his web of motifs; he even, like the Bible, has two creation myths, that of Alberich in the first scene of Das Rheingold, that of Wotan as recounted by the Norns in Götterdämmerung. Narrations provide us with new information, new standpoints, but there is nevertheless always a coherent narrative, however incomplete it may be. In Wagner, that is. In Castorf, incoherence seems deliberately to be the thing. That might be interesting, but the problem is more that relatively little is done with it. A decidedly sporadic engagement with Wagner results in something which, ironically, comes more and more to resemble an old-fashioned approach of ‘park and bark’. Too much of what we see proves to be just a setting, against which the singers essentially sing their parts. Aleksander Denić ingenious set, Hunding’s farm house transforming into an oil well, and film clips showing anything and everything from a woman eating cake to an issue of Pravda, a man on the telephone (it later seems that he might be Wotan, but our unreliable narration kicks in again, not unfruitfully) to a reappearance for the Rheingold barman, now in Azerbaijani oil man guise, are too often little more than scenery. I can only assume that Wotan’s delivery of his second-act monologue is purposely stationary, even un-directed: attempted deconstruction, perhaps, of the plethora of action in Castorf’s Rheingold, a reinstatement, presumably contemptuous, of ‘opera’ as he perceives it, but certainly not as Wagner did. Certainly Fricka’s mad behaviour is the most conventionally ‘operatic’ I have ever seen and could hardly contrast more strongly with Wotan’s subsequent standing and (mostly) delivering. Much the same happens in the greater part of the third act, once the other Valkyries, some with horned helmets, have departed the scene. It frankly becomes boring, the impression having been given, rightly or wrongly, that often the singers have been left to fend for themselves. Castorf seemingly has little interest in the Lenz of the Volsungs’ love, Siegmund’s heroic rejection of Valhalla, or the relationship between Wotan and Brünnhilde, and in much else besides, without succeeding in putting anything in their place. Romanticism, or something akin to it, is presumably part of the problem – but that should surely prove a spur to criticism rather than an aid to indifference. 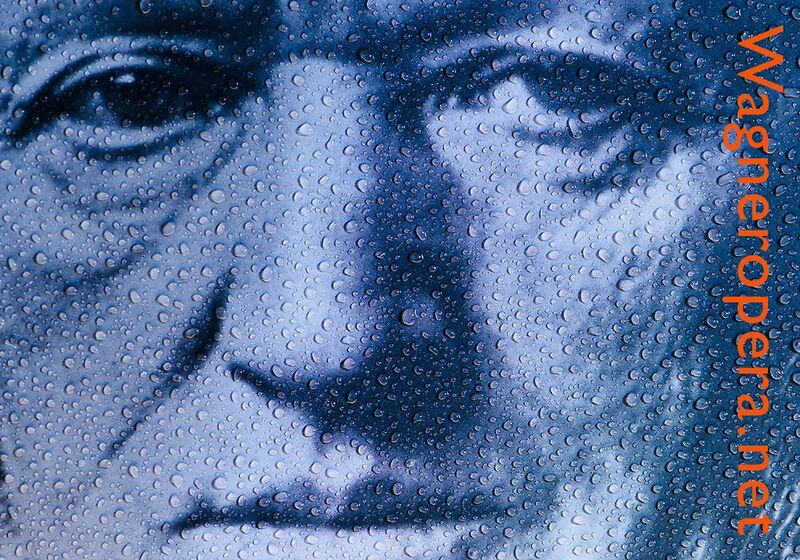 It seems less a matter of failing to explore or to deconstruct Wagner’s ideas than of never having bothered to consider them in the first place. Narrative incoherence is clearly part of the point, but, even with the film, it does not carry enough weight to compensate for what is lost. And there is a very thin line between incoherence as an æsthetic principle and incoherence by default. Kirill Petrenko’s conducting had improved considerably. After a largely one-dimensional Rheingold, there was far greater ebb and flow here. If tempi remained on the fast side, the music was nevertheless allowed to breathe, which was just as well, given how much it had to fend for itself. There was far greater variegation, woodwind lines in particular gaining new life, and impressive dynamic range: none of Pierre Monteux’s ‘indifference of mezzo forte’. Climaxes could have been more shattering, but they were generally well placed and well approached. It is difficult to know how differently Petrenko would approach the work in another production, but I wonder how much a laudable desire to unite music and Wagner’s ‘gesture’ had initially led to subordination of the former, only for Castorf’s apparent dramatic abdication in Die Walküre to be met with a greater role for Petrenko here. Perhaps Siegfried and Götterdämmerung will provide further hints. Wolfgang Koch’s Wotan is too baritonal truly to plumb the dramatic depths, but his Act III anger was devastating to hear (if not to see). After a disastrous start, her Hojotohos out of sync with the orchestra, Catherine Foster recovered with considerable credit as Brünnhilde. Her diction is not always as clear as it might be; indeed, there were, unless my ears deceived me, a few lapses with regard to the poem itself. But she is a likeable singer, who draws one in, has one sympathise. 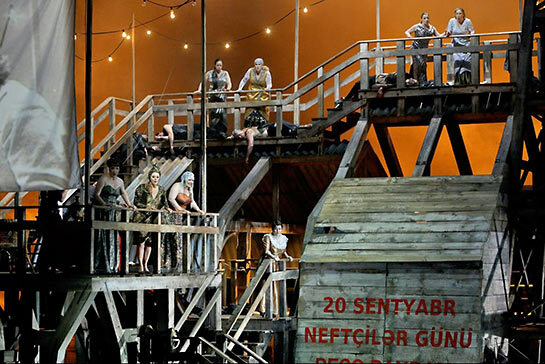 Anja Kampe had some rough moments, especially earlier on, but offered a performance of true dramatic fire; she, it seemed, was really the only one who could provide the direction Castorf apparently declined. At her best, she was mesmerising, even shattering. In Johan Botha, it was a joy to have someone who can sing the role of Siegmund with such ease. His swordsmanship, however, was embarrassing, his acting skills remaining at best rudimentary. Kwangchul Youn’s Hunding was powerfully, menacingly sung, his attention to words as well as music an object lesson, not least to the director. Claudia Mahnke’s ‘operatic’ Fricka was rather hit and miss, just as in Das Rheingold. The Valkyries were a generally impressive bunch, with more of Wagner’s poem audible and comprehensible than is generally the case. Castorf takes an essentially non-Wagnerian view of the work. The result is a provocative, irritating yet fascinating production that could best be described as an 'imploded' work of art.